We want to help you learn how to max out your sweepstakes entires, increase your chances for winning and just generally have a great (and safe) time entering sweepstakes. So we are sharing our free sweepstakes lessons with you! 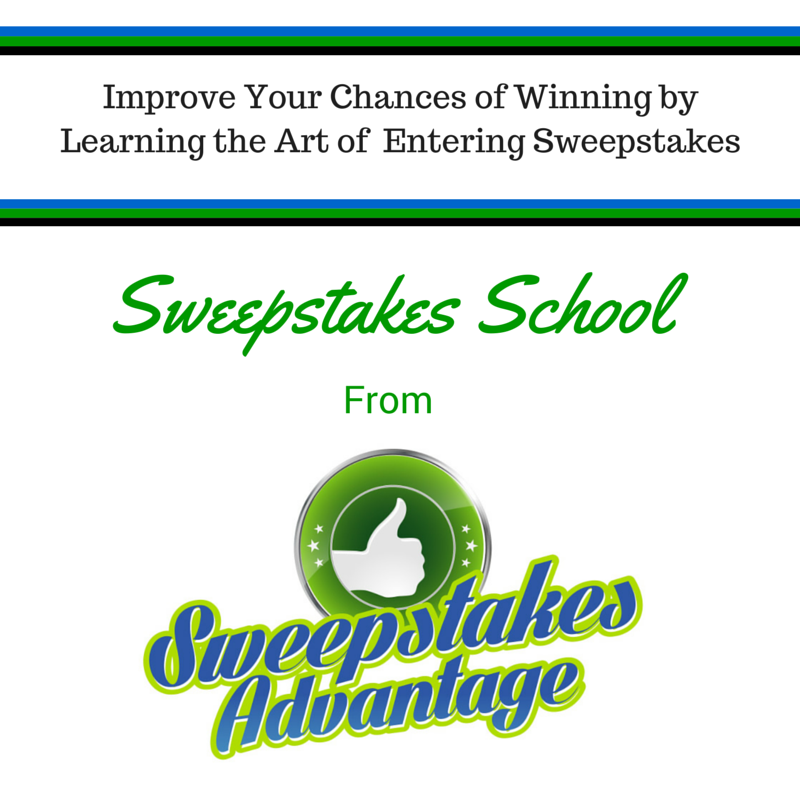 Thanks for checking out Sweepstakes Advantages Sweepstakes School! We hope that we help you win big! Learn what the difference is between a sweepstakes and a contest. This information will help you know which type you want to start winning. Learn the reasons why companies offer sweepstakes and free stuff. Learn how to avoid scams and red flags to note when you are looking for sweepstakes to enter! Learn how to use Twitter so you can enter sweepstakes for gaining bonus entries and more! Learn how to use Facebook so you can enter sweepstakes and how to remove unwanted apps after a sweepstakes is over. Get all the details on setting up a Pinterest profile and how to enter Pinterest Sweepstakes. Learn how to set an Instagram account and start entering sweepstakes! Some in depth info Regarding Taxes and the legalities of Sweepstakes. Learn how to enter these Mobile Friendly Sweepstakes. More Ways to Identify and Scams– Even more tips for avoiding sneaky scams! So How Do They Pick Sweepstakes Winners? Thank you for putting this together and your advice! I get so wrapped up try ing to enter as many as possible not thinking about scams. I would be so grateful to win a truck for my Husband’s Birthday or any time for that matter. This would make his dream come true. I have Never Won anything myself, so winning anything would just be Great. Thanks for the opportunity. I used to enter sweepstakes but haven’t entered for about 9 years. I entered using mail in entries but NIW will be mostly entering online. When I used mail in entries I won: a week vacation for 4 to a 6 Flags location. It included gas for my car, a motel room and food for all 4 of us. I also won tickets to see a show that included a dinner at a steakhouse, a large screen HD tv, tickets to a concert in NY city that included a meet and greet, and numerous smaller prizes. I hope to start winning again soon. Thanks for all the valuable information. Good luck to all.